If you’re even remotely concerned about your physical appearance or your health (let’s be honest, most of us are) then looking after your skin is vital. Improving your skin’s health makes it more capable of fighting the signs of ageing; it heals much faster and deters disease or infection better than unhealthy skin does. It is affected by a whole host of variables but today we will focus on a simple step to fantastic skin – which drinks are best to develop and sustain glowing, youthful and radiant look? WATER – Drinking up to 8 glasses of water a day will help rid the body and skin of toxins. Considering how much of our body is made up of water (around 70%), the benefits of drinking enough water cannot be understated. BONE BROTH – Don’t be deterred by the off-putting name, bone broth has plenty of vitamins and minerals from the broken down bones which are said to have powerful healing properties. It contains masses of collagen, magnesium and calcium, which are all vital ingredients for that glowing body you’ve been searching for. POMEGRANATE JUICE – Pomegranate juice has powerful antioxidant properties, aids cellular regeneration and has fantastic anti-aging properties. Not only this, it can also prevent damage caused by free radicals. GREEN TEA – Green tea has a whole host of benefits. It has anti-aging and antioxidant benefits that can help delay signs of ageing skin such as wrinkles, sagging and sunspots. It can help clear acne, reduce puffiness and improve overall skin complexion. GREEN JUICE – Probably one of the healthiest and revitalising drinks on the list, stocked to the brim with essential vitamins and minerals needed for glowing skin! Green juice can come in a variety of forms and you can blend veg (along with fruits) to your liking. There are masses of different recipes online so it’s simple to get involved! BLACK TEA – Perfect for oily skin types! Black tea contains tannic acid which has astringent and antiperspirant properties, great for those whose skin becomes oily due to sweating! Don’t sweat it and give the black tea a try to clear up that shine! ALOE VERA JUICE – Used since ancient times and nicknamed the “plant of immortality” by the Egyptians, aloe vera juice fights against them all! It is the perfect treatment for sunburn, scar reduction, acne and aging. In fact, aloe vera juice goes beyond skin care and can work wonders for your body! 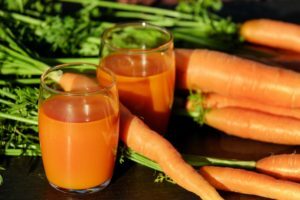 CARROT JUICE – If you don’t want to spend masses on skin care products, give carrot juice a try! It has been known to hydrate your skin, reduce redness, provide an even tone and even reduce scarring! All you need to do is pick up some carrots from your local! OOLONG TEA – This ancient tea is also known as wu liang, after the Chinese tea leaf harvester who shared the same name many centuries ago. Similarly to green tea, this tea is known to improve your skin’s youthfulness! It’s been proven to improve colour, diminish dark spots and wrinkles, improve skin tone and can also be used as an effective sunscreen! RED WINE – For the drinkers out there, this one will come as a relief! Besides the surprising benefit that a glass or two of red wine can improve your heart’s health red wine’s antioxidants can help battle against acne and other painful skin conditions. That’s not to advocate drowning yourself in red wine (unfortunately)! We live in a world where we always feel that we have forgotten something because we live such busy lives. Our work and personal lives are now so fast-paced that we don’t even find time to sit still and take a breather before heading into meetings. If you are anything like me, you only get time to think about the next steps in your day when you’re driving from one meeting to the next. With frequent performance reviews and fast paced online meetings, the mind is naturally under constant pressure to perform to the best of its ability. Here are 3 simple techniques for entrepreneurs and business professionals that you should use before heading into a meeting or before you get home. These techniques won’t just help relax your mind and enhance your overall health and well-being but will improve the transparency of your positive attitude in front of the camera. 1) Tunes: Something we all love to hear is music. Music can be the best medicine to cure a stressful mind. Your own feel good songs are a great way of soothing your senses and will have a positive impact on your emotions. Listen to your favourite songs whilst in the shower or on your way to work and you will begin to feel relaxed. 2) Tidiness: The environment we are surrounded by, both at home and at work, has an impact on our minds. To keep yourself relaxed, it is essential to building a positive and calm environment. A messy home and work environment can often cloud your mind. Clean the mess and free your mind, I assure you it will have a positive effect on your life and your professional photo shoot (if you have one coming up). 3) Tranquillity: A technique that is often associated with relaxation is yoga. Yoga is a popular activity to de-clutter the mind, but in reality, we don’t all have the time to roll out our yoga mats on the tube. We do however have time for a little meditation and it doesn’t have to be anything too time-consuming. I take 100 breaths, I count them and I try not to think about anything else. This is a technique that works really well for me and yes, it’s only counting. This gives my brain something to do whilst my body has a rest. After 100 breaths I forget that I’m counting and my whole body feels at peace and ready to embrace the next part of my day. To find out more about other ways to improve your work home lifestyle please read our blog Your Face Says it All. Just had an awkward moment sat in Costa. Have you ever had a thought running through your head then accidentally spurted it out loud? Yeah.. That just happened. Sat here alone and I’ve basically just yelled: “OH, this is such an important tip!” Heads turn either from bewilderment or amusement I can’t tell but I sit here writing this blog anyway for you albeit a bit red-faced. Anyway, one of the important things you can do with your branding is to SHOW YOUR FACE! Sounds scary, I know right? But we do it every day. Why shouldn’t we do it online? Last week I was talking to one of my old friends from high school who has set up her own company. The company is still in the early stages and she was telling me how she wasn’t quite seeing growth as quickly as she’d like.. With that said, we entered the web address and had a look at her company’s website and social media. Then it hit me…I see this mistake made again and again and again. Because here is the thing. As a business owner, you are a personal brand and that is an awesome thing. You have the power to market yourself and more people will buy the product because they like you and they believe in you. It provides the perfect advantage over all the faceless brands out there that people have trouble connecting with and trusting, particularly in the early stages when your brand hasn’t got much recognition yet. So that’s all good and well but what are some ways you can show off your face and connect better with your existing and potential customers? There are two very simple steps. Get professional photos done. Yep, get ready… And let’s make them better than the embarrassing photo in your high school yearbook. Photographers at The Headshot Guy will capture your personality (whether you are super fun and outgoing or serious and no-nonsense) and know how to use the camera perfectly to make your best features shine! Advanced tip: have a few different outfits, get different angles and also get some photos of you pointing into space which can be super helpful later when you’re advertising on your website. Your photo needs to be on EVERYTHING. And we mean EVERYTHING. That means when they click on your website and see you, they’ll remember you. When they look at their business cards laying around their house, they’ll remember you. When they’re in bed at nigh… Well maybe that’s not what we’re aiming for but you get the picture. Just remember there is only one of you so let people see and remember your face. Have a fantastic day from everyone at The Headshot Guy. How to look and feel healthy for your shoot! You’ve made the right choice, took the plunge and booked your big day to have a professional headshot. Congratulations! 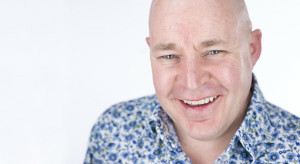 Your professional headshot can provide you with a whole host of benefits! With that said, there is still plenty of things you can do to make the most out of your photo shoot to ensure you are sparklingly radiant on the day! Here’s some simple prep you can do for the weeks prior to your shoot that will make you look and feel healthier, clearer and revitalised. DRINK LOTS OF WATER! – Drinking lots of water each day will help rid the body and skin of toxins, providing you with a clearer complexion. 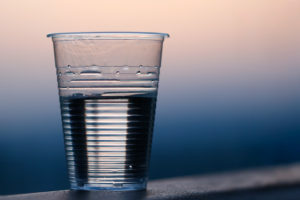 This isn’t to say that you should only drink water because it can often lead to unhealthy spikes in blood sugar levels but it is important that you make sure you still hydrate with water regularly and try to keep tabs on the soda! CUT BACK ON THE SODIUM! – As many as 9 out of 10 of us are eating too much salt! Apart from the fact that eating too much salt can raise your blood pressure, it also leads to bloating and puffiness due to the extra water being held in your body. Reducing sodium is a great tip to reduce puffiness in the face and particularly around the eyes. If you want to look awake and like you haven’t just rolled out of bed consider cutting back on the sodium! WATCH YOUR NUTRITION – Eating plenty of fruit and vegetables rich in antioxidants is good for your body and your skin! The consumption of certain vitamins, minerals, and other beneficial compounds in the diet is one of the most effective ways to treat skin conditions and improve the look and feel of one’s skin. An easy tip is to try and get as much variety in colour as possible in your diet! BUILD YOUR SKIN CARE ROUTINE! – There’s lots of information you can find online how to build your skin care routine dependent on whether your skin type is oily, dry, etc. The most basic and useful things you can do is to remember to wash your face no more than twice a day with a gentle cleanser, exfoliate once or twice a week and regularly use moisturiser to keep your skin hydrated and vitalized! GET IN THE ZONE! – “A person who has good thoughts cannot ever be ugly. You can have a wonky nose and a crooked mouth and a double chin and stick-out teeth, but if you have good thoughts it will shine out of your face like sunbeams and you will always look lovely”, Roald Dahl. By doing things to improve your mental health and positivity, your thoughts will begin to radiate onto your face. One of the best things you can do to be positive is to spend 10 minutes a day doing meditation or yoga. Meditation and yoga not only balances your mind but your body too! If you’re new to meditation or yoga there are plenty of videos on YouTube aimed at beginners that you can use to begin today! DO FACIAL EXERCISES! – Your facial muscles play a key role in shaping your face. By doing simple facial exercises you can help tone and tighten your facial muscles, which helps support your skin and prevent sagging. Not only this, but facial exercises help improve the blood flow throughout your face which can actually help counteract wrinkles! Cosmetic surgery isn’t always the answer! Look for some facial exercises online that can help improve crow’s feet, drooping eyelids or even cheek lines and sagging skin! Having your photograph taken can be scary, some of us love it but most of us hate it. 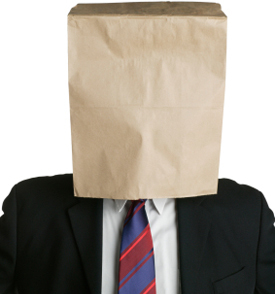 We don’t walk around with paper bags on our heads, people see our faces every single day, so why do we have an irrational fear of having our photograph taken? There are three types of people in this world; Lovers, Haters and Avoiders – which one are you? Lovers, Haters and Avoiders – which one are you? Avoiders – The most common category of all are Avoiders, they simply avoid any contact, with any camera, ever! There are many reasons why they dodge photographic capture. The first reason is that Avoiders may have never seen a fantastic photo of themselves for one reason or another. Many avoiders may dislike something about their appearance. When presented in front of the camera everybody in this category looses their subconscious ability to control their expressions, which means they find it very difficult to not think about what they look like. What avoiders may not know, is that this is very common and it’s the job of the photographer to bring back that natural expression by working with the client. The best thing people in this category can do, is face their fear and visit a professional headshot photographer. Haters – Haters are those who feel awkward when a camera, that isn’t their own, is pointed at them. This is the second most common category to fall into, which is strange because many people in this category love a good selfie. Haters are those who’ve generally had a bad experience of having their photo taken in the past by somebody else, but do it anyway. For many haters just stepping in front of the lens brings back a whole heap of bad memories. This could be because they are used to seeing a specific image of themselves. The classic school portrait is the one that first springs to my mind. Sat in front of the whole class, on a black wooden box, sweaty palmed, with the worst hair imaginable styled by your mum that morning. “Say cheese”… Haters are the ones who when working with a professional headshot photographer surprise themselves with how relaxed and confident they become throughout the shoot. Lovers – A lover is somebody who enjoys being in front of the camera and has had some experience being photographed. There are some lovers who haven’t had much experience but are often the type of person who is very confident and happy with their bodies. However, people in this category still need some coaching by a headshot photographer to be pushed further and get more out of their shoot. Do you mess with the camera or does the camera mess with you? Whatever answer you have come up with, don’t worry. 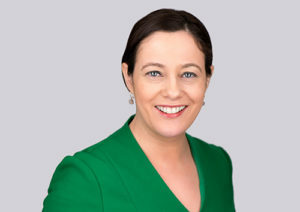 It doesn’t matter what category you may have landed in, it is important to understand that a professional headshot is part of your brand image. The professional headshot is not just for actors because people want to see people and that goes for business too. We aim to work with our clients because after all a great photograph is a joint effort and you are a part of that experience. The Headshot Guy build’s trust and rapport with you during your shoot and will coach you through every aspect, including your eyes and micro-expressions, which you might not even know you’re doing. It’s our job to make you comfortable making your experience as relaxed as possible. Trust us when we say this, you will be happy with the end result. If you feel you would like any advice about what happens in our shoots, then please give us a call on 0800 234565 – we are happy to talk through the whole experience. The Headshot Guy is here to guide you to the perfect professional headshot.